*This column was originally published at The Film Experience. You may have noticed that after a few years of covering the festival to various degrees for The Film Experience, I was completely absent from this space for the past ten days, mostly because of a personal decision to enjoy the films without sweating over writing. TIFF is a big festival, maybe the most frantic and hectic in the world, with more choices than one can physically experience over ten days. Nathaniel and I shared so few films from the program’s sprawling lineup, we could have each written about every single thing we saw and you’d never know we attended the same festival. It’s this overwhelming scale that made me want to take a break from reporting, and yet, I feel unsure about how that affected my festival experience. Writing about films for me is a passion born out of the necessity to articulate my thoughts on the things I watch. Maybe that process of writing makes the films more memorable? Isn’t it so that writing, even about bad films, makes us appreciate good cinema all the more? Without recording my memories, details about this year’s films have fled my mind quicker than ever. My feelings about some of them have been diluted a bit, too. There is something missing, even though I had the best festival experience of my life, meeting more people than ever and watching some terrific films. Maybe this pessimism is just a withdrawal symptom. Let’s stay positive! As has become something of an unplanned tradition for me – with precedents including Oslo, August 31st and Closed Curtain – my favorite film of the festival came my way on the last day. 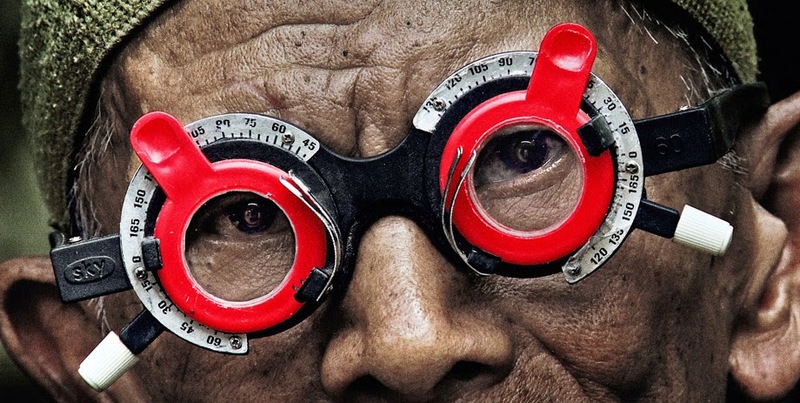 The Look of Silence, Joshua Oppenheimer’s follow-up to The Act of Killing is a remarkable achievement, one that I dare say, with festival hyperbole now fully behind me, is one of the best documentary films ever made. Where the original film shocked its audience with both the viciousness of the story and the inventiveness of its approach, this sequel of sorts is rather more formally straightforward. Turning his camera 180º to focus on the victims of the Indonesian massacre of the 1960s, Oppenheimer examines unhealed wounds and social and familial fractures that are still silenced decades on. The Look of Silence is no less brutal than its predecessor, yet, its emotional punch comes not by shock, but from the force of personal traumas visible in the victims’ silent looks. By sheer coincidence, my second and third favorite films also looked at struggles against Islamic extremism. Abderrahmane Sissako’s Timbuktu was largely absent from conversation despite strong reviews at Cannes but it deserves a fairer shake. The director eschews schmaltzy humanism at every turn to offer a frank but heartfelt look at the havoc that decades of tribal and religious conflict have wreaked upon the Malian people. Timbuktu is a more enjoyable watch than this write-up suggests though, with some of the year’s best cinematography and a few very powerful turns. Back in the documentary vein, Silvered Water, Syria Self Portrait blew me away with its raw and confrontational exposition of the atrocities committed in the titular country in the past few years and I have Nick Davis to thank for alerting me to it. Co-director Ossama Mohammed, living in Paris in exile, has collected hundreds of YouTube clips from the goings-on in the city of Homs and presents them in this matter of fact, heartbreaking montage that is both a testament to the possibilities of the medium in the digital age and the resilience and bravery of the Syrian people. 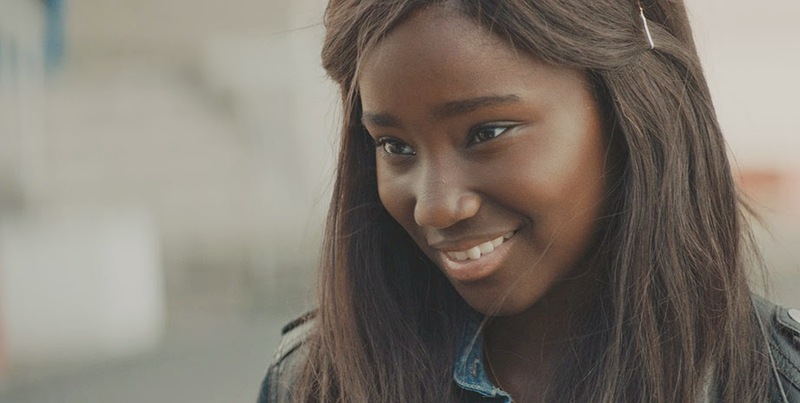 On a less grim note, Celine Sciamma’s Tomboy follow-up, Girlhood, is as keen an observational study of growing up as we’ve come to expect of her, and frankly a far superior film to Boyhood. With this vibrant, joyous take on life as a teenage black girl in the suburbs of Paris, Sciamma establishes herself as one of the best directors working today. Matias Pineiro does the same with The Princess of France, another diamond cut to perfection from Shakespearean origins after Rosalind and Viola. A shape-shifting story of intertwining romances, Pineiro’s loose adaptation of “Love’s Labor Lost” conveys the intricacies of its maze of relationships with a fluid visual approach inspired, according to himself, by the paintings of Bouguereau and the music of Schumann. It also features what is one of the most astonishing opening sequences in recent memory, a street soccer game half-synchronized to Schumann’s Spring symphony. Happily for me, there were seven films playing at the festival either by Iranian filmmakers or otherwise about Iran. I saw all but one – Rosewater – and easily the best of the bunch was Reza Mirkarimi’s Today. The director is little known outside of his home country but has long been one of my favorite filmmakers. His latest didn’t disappoint: the story of a reticent taxi driver who becomes entangled with the life of a pregnant woman he drives to the hospital, the sparse and humorous narrative and the exquisite performance by Parviz Parastui lend the film an irresistible sense of mystery and gravitas. Don’t be surprised if this was the country’s Oscar submission; Mirkarimi’s works have been sent twice before. On the starrier front, two films really stood out for me. Ramin Bahrani’s 99 Homes, starring Andrew Garfield and an on form Michael Shannon is a loud, pacey thriller about the corrupt world of real estate during the economic crisis. Shannon plays the role of the property shark with more nastiness than his General Zod, devouring Garfield into a system that once broke his own family’s back. It’s certainly overwrought, overdirected and painted in broad strokes, but there’s a no-nonsense sincerity to its intense approach that makes it hard not to admire. One of my favorite working directors, Olivier Assayas was back at the festival, guiding Juliette Binoche and Kristen Stewart through a challenging duet that puts them against each other as an aging actress and her caring assistant. Clouds of Sils Maria has an epilogue that runs far longer than it should, but everything that comes before it is stellar. Stewart, in particular, gives a delightfully surprising performance, making the best of her real life persona in a perfect marriage between the role and the performer. To give an impression of completism, let’s turn to the two films that disappointed me most. Jean-Luc Godard’s insufferable Goodbye to Language 3D takes its central idea (Godard’s resignation to impossibility of expression through language?) as permission to part with any semblance of sanity. The director has now completely become the man Woody Allen feared becoming in the opening of Annie Hall, screaming about socialism with saliva dribbling out of the corner of his mouth. On the opposite end of the spectrum, Liv Ullman’s fidelity to language in Miss Julie resulted in an equally unbearable experience. This is a dull adaptation with virtually no cinematic vision, but where other similarly boring, literal period pieces feel like the text is being read to the audience rather than shown on the screen, this one is being yelled at us by Jessica Chastain and Colin Farrell. Finally, since no festival coverage is complete without lists, I present to you two top tens. Here’s hoping for a stronger coverage of the festival next September. In addition to these, I encourage everyone to check out Roy Andersson’s A Pigeon Sat on a Branch Reflecting on Existence and a brilliant pair of Viggo Mortensen-starrers, Jauja and Far From Men.